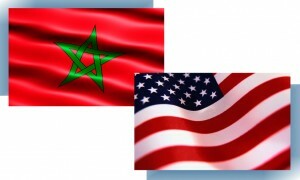 In his meeting with King Mohammed VI, President Obama reaffirmed US support for a political compromise of autonomy under Moroccan sovereignty as the only realistic solution to resolve the long-standing Western Sahara conflict. But what exactly is the policy and how and why did it develop? I was fortunate enough to be a part of the team that helped formulate the policy in 1999. As I wrote in a paper for MIT International Review, by late 1998 it was clear that the referendum option had failed and the international community wanted a more effective method to address the Western Sahara problem that would also help diminish the risks of a broader regional war. Clearly, some kind of political compromise between the parties was necessary. Morocco would need to abandon its aim of fully integrating the Western Sahara, and, similarly, the Polisario Front and its Algerian backers would have to abandon their efforts to separate the region from Morocco, by force of arms or other means, to achieve an independent state. The American foreign policy community recognized that either of these winner-takes-all approaches would only lead to further regional instability, conflict, and possibly war—something US policy makers were intent on avoiding. Instead, the US decided that a basic trade-off was required—a political compromise that satisfied basic requirements for both parties and still respected the key principles of international law for resolving such conflicts. Since 1999, Presidents Clinton, Bush, and Obama have supported a compromise formula based on autonomy for the Western Sahara under Moroccan sovereignty, with the details to be negotiated between Morocco, the Polisario Front, and their Algerian backers. It was a policy born of pragmatism and really the only policy that makes sense in an increasingly unstable part of the world. Encourage US private sector development in the region to create the conditions for a successful autonomy arrangement. A political compromise of autonomy for the Sahara remains the only realistic solution to resolve this long-standing conflict. President Obama recognizes this, as did his predecessors. It is now time for the US government to move forward to make it a reality.